For roughly about 2 weeks, I have been using this new mid-ranged smartphone from ASUS which landed in Malaysia 1 month ago. This device is targeted for those who want a decent performing smartphone with a bunch of exciting trending features. During this review, you will know exactly what are the features and factors that you should consider getting this smartphone or why should you not. 1 x USB OTG cable for reverse charging. One of the main selling point will be Full View Display on ASUS Zenfone Max Plus. We are pretty much aware most of them are going for odd aspect ratio these days compared to the usual 4:3 or 16:9. This smartphone comes with 18:9 aspect ratio and you can clearly see the difference when you compared side by side with the rest. Basically, you can view stuff on a wider angle which saves your time on scrolling from left to right or up to down as it is possible to fit the entire viewing area. You get an IPS LCD display with 720p (1440 x 720) resolution – there is also Beyond Full HD version available but sadly not in Malaysia. I would say the design of this smartphone is pretty impressive as it attracts attention. Most of my friends fell in love at first sight as they really love how it looks and feels. Surely most of them love where the dual camera lens exists with gorgeous Full View Display on the front. Not to forget the fingerprint reader is now placed on the middle back portion of the smartphone and it is now circle shaped. There’s no longer physical buttons on the front as they have ditched the capacitive buttons and opt for on-screen buttons. Well of course, it would look silly when you have physical buttons with a Full View Display. The 3.5mm audio jack is placed on the top left part of the smartphone while the volume rockers and power button are placed on the right side. Another best part of this smartphone would be its triple sim card slot tray. You can now insert two sim cards plus a memory card without sacrificing either and maximizing your productivity. There are two mics, one on the top and another on the bottom. The speaker sits beside it while USB 2.0 charging port is in the middle of them. Sad to see there’s no USB Type-C here. The main cameras on the back are setup as dual lens cameras. One with 16MP which works as the usual camera while the other is for capturing wide angle shots which is capped at 8MP. The main 16MP sensor has PDAF and comes at a decent aperture of f2.0 while the 8MP wide angle sensor comes with fixed focus. Fixed focus here defines that you can’t focus specifically on an object or area. I would say the main 16MP camera is pretty much a good camera for those who are gonna use for Instagram. The images are rather sharp and clear which serves the purpose of what it actually should do. The front selfie camera comes with 16MP f2.0 sensor and again fixed focus which is pretty common I must say. However the quality of the selfie photos are rather just right and nothing too great as I have been using the Zenfone 4 Selfie Pro. It could not be as close as the Selfie Pro when it comes to great selfies – it simply means I look better when photos are taken on the Zenfone 4 Selfie Pro. A quick touch on the specifications – The ASUS Zenfone Max Plus is powered by MediaTek’s MT6750T Octa core processor paired with 4GB of RAM. I was never a fan of MediaTek but it did not really put me down while I was using it on this smartphone. The performance is decent without frequent lags that I used to see back then. Of course you can’t play massive games on it but it could run the less-intense-graphics games. Since I don’t play games much these days, this would be an ideal smartphone. It is a good companion while I reply mails, constantly check my social media accounts and event emergency content editing. The ASUS Zenfone Max Plus is a 4G enabled smartphone and supported on both slots. It’s call quality is decent in my opinion while on the microphone but it is pretty below my expectation when set to loudspeaker. I am not sure why the speakers on this smartphone is pretty low in quality or maybe mine is faulty but its not as close as to those I have encountered in any other ASUS smartphone. The usual stuff such as WiFi, Bluetooth 4.0 but somehow rather lacks in FM Radio as well as NFC. I believe its almost impossible to have NFC for this price range but should have included FM radio. Then again, there’s online radio stations as well as Spotify when it comes to music listening these days right? I have been streaming pretty much of songs with my unlimited quota on Digi’s Network flawlessly. Having used most ASUS smartphone these days, I am pretty much quite familiar with the features but trust me as most of you might not know about the below features available on the ASUS Zenfone Max Plus. It comes with the latest Zen UI on Android 7.0 Nougat. Twin Apps is where you can truly use two social accounts on the same smartphone without any sacrificing or perks involved. 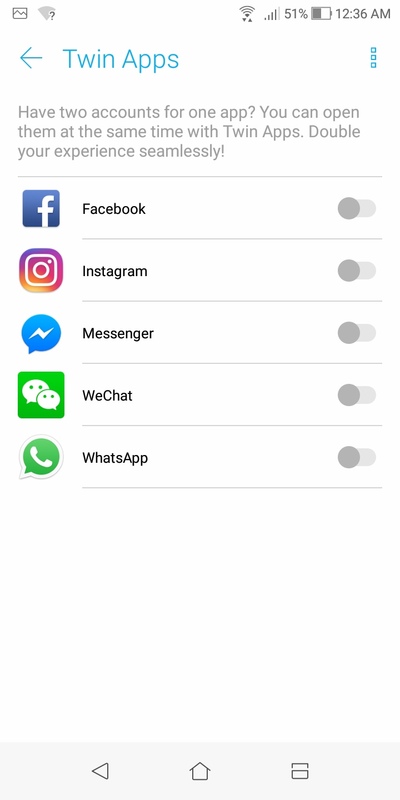 You can simultaneously receive messages on WhatsApp on another another number. Same goes to any other social media accounts. If you’re a person who is business-oriented, this is something that you’ll die for. You can change the button layout to fit your desired way of having the back button on the left or on the right. You will find this useful if you’re coming from a Samsung smartphone. 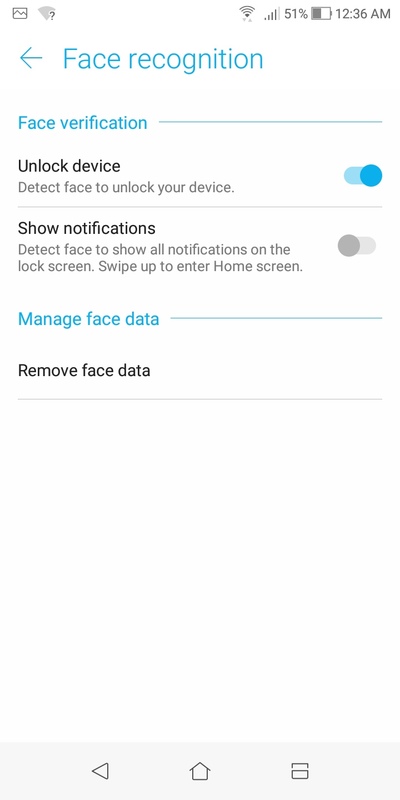 Not to forget you can also activate Multi-Window by tap+hold the recent apps button. 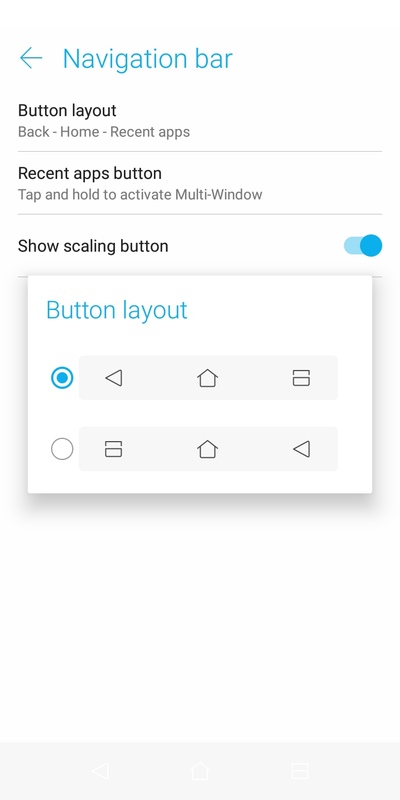 This could allow you to utilize the Full View Display as the apps could fit decently and pretty much displays more details with minimized scrolling. 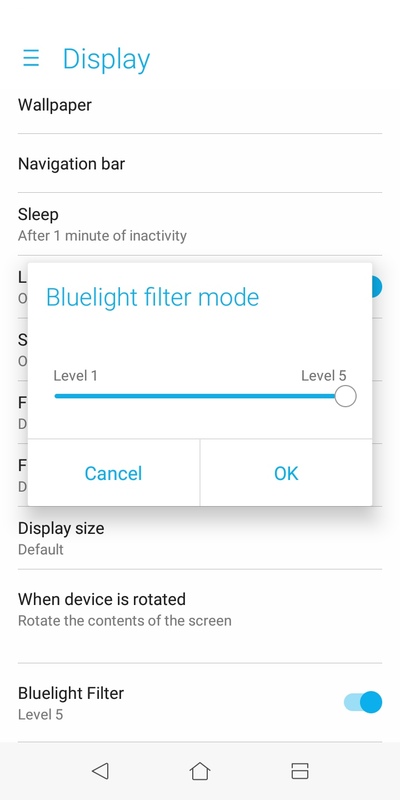 There are 5 different levels of Bluelight filter for you to play with. It is not necessary to fully make the blue light disabled and having a yellowish display as you can adjust it accordingly within 5 levels. First one I have witnessed so far. Those are some of the additional features you get with the ASUS Zenfone Max Plus that you might forget or left unnoticed till the moment you read this review. This smartphone comes with 4130mAh of non-removable battery which is pretty large in numbers. However, despite having a Full View Display as well as non-energy efficient processor – the battery does get drained pretty fast. It could last me one whole day long with heavy social media usage. No games are involved, and at most would be watching videos on YouTube. But for the price that you are paying, I am pretty much impressed that it could get me throughout the whole day without having to look for charger. If you are a person who thinks like me ” Why spend so much for a smartphone with latest features when you can get somehow similar experience with below RM1000″ this is a smartphone that you should add to your cart. Well, I truly believe that it is not worth to spend too much on a smartphone if you constantly change it. Maybe you could opt for an expensive one if you seldom switch phones. You get Full View Display, Face Unlock, Dual Camera setup with portrait and wide angle mode as well as huge battery for an extremely low price tag. The ASUS Zenfone Max Plus (M1) is priced at RM899 and widely available across Malaysia at your nearest store. You can also get it online via ASUS Malaysia’s official store on LAZADA. Clicking on the link makes you eligible for the free gift which includes 16GB SanDisk microSD card, ASUS ZenPower Slim(5000mAH) Powerbank and a screen protector. (The screen protector is known to be available as per customers feedback on LAZADA). You can opt for the Deepsea Black, Azure Silver or Sunlight Gold colors which are all in stock based on ASUS’s store in LAZADA.